Microsoft Power BI is disruptive technology. 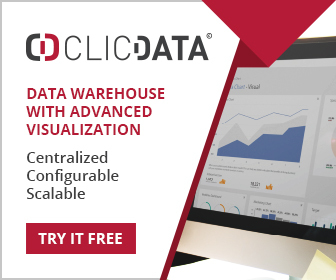 It upsets the equilibrium in the market for expensive data visualisation tools, and it makes business intelligence available to a whole new genre of user. And no one should think that Power BI is unsophisticated. Microsoft is on a mission, and in September 2015 alone, over 40 significant enhancements were made to the product. Until recently Power BI was essentially a set of add-ons for Excel with cloud sharing. Power Pivot supports the creation and manipulation of pivot tables, Power View allows users to explore and visualise data, Power Query is a data manipulation tool for joining and preparing data for analysis. Excel aficionados love the power and flexibility of these tools, but they do present a barrier for those without Excel skills. And so early this year Microsoft introduced a desktop data visualisation tool initially called Power BI Designer, later to be renamed Power BI Desktop. 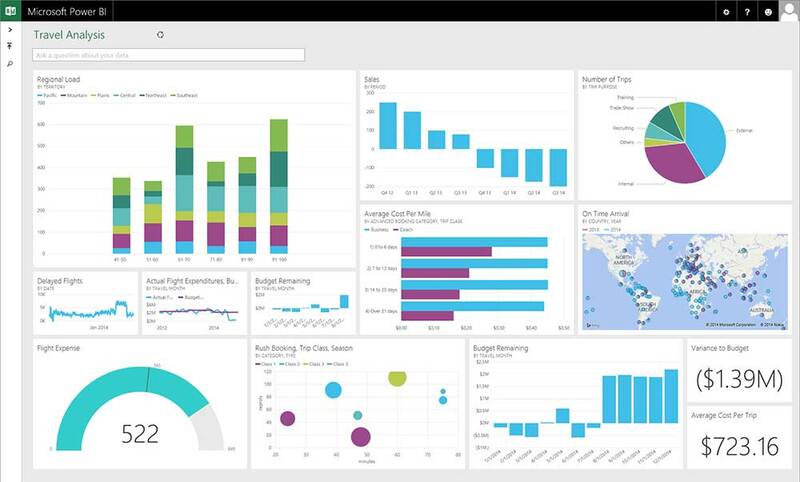 In addition to this they also released the cloud based Power BI Preview, a platform to share dashboards and charts.This is now called the Power BI service. All the functionality of Power Pivot, Power View, and Power Query are embedded into Power BI Desktop, and Microsoft has stated that it is this that will see most development above the Excel add-ons. The user interface incorporates Q&A, the natural language query facility, and optionally Cortana, the speech interface, has also been incorporated. Power BI comes as part of Office 365 Enterprise, and it should be remembered that Microsoft products represent the most widely used BI platform on the planet. Of course full utilisation of Power BI implies some level of buy-in to Microsoft’s wider analytics technologies. A connector exists for SQL Server Analysis Services, and various Azure data sources are also well supported. Real-time dashboards can be created using Azure Stream Analytics, and in a business setting, sharing can be controlled using Office 365 groups. Having said this, the Microsoft Power BI Personal Gateway acts as a bridge to many on-site data sources outside the Microsoft ecosystem. That Microsoft is serious about business analytics is well demonstrated by its recent acquisition of Revolution Analytics, an enterprise platform for R, the open source statistics and analytics language. It also acquired Datazen, the mobile BI platform, which has offers distributed dashboards and KPIs for all mobile devices. And then earlier this year it introduced Azure Machine Learning – a platform for the development and deployment of predictive analytics. Microsoft, along with Amazon (who recently introduced its own cloud based business analytics platform) are set to commoditise business intelligence, and the word commoditise should not be read as lowest common denominator. Microsoft Power BI is starting to challenge many premium BI and data visualisation platforms, and will ultimately eclipse many of them. It’s a hard world. Power BI Desktop installs onto a Windows PC and is available as a free download. It presents a drag-and-drop user interface with lots of visuals, and assistance when creating reports, charts and tables. Since it offers the same functionality as the Excel add-ons, Power BI Desktop supports the ingestion, preparation, transformation and visualisation of data. Typical data shaping functions such as removing rows and columns, modifying data types, creating pivot columns, grouping, and fixing data anomalies are supported. Relationships between data sources can be automatically detected, and it is fairly straight forward to define new measures. The visuals supported by Power BI Desktop cover most of the things a business user might want to do, including tree maps, doughnut charts, waterfall, funnel and filled map. But if this isn’t enough Power BI is extensible, and Microsoft has published its visualisations, which are built on the D3.js open source library, and with suitable skills, new visualisations can be created. Reports and charts can be pinned to dashboards, and either viewed within Power BI Desktop, or uploaded to the Power BI service, where they can be shared. The dashboards can ingest live data and be updated in real-time if the Power BI REST API is used, or Microsoft’s Azure Stream Analytics service used to push data to the dashboard. Q&A, the natural language interface can be used to formulate queries. This will cause the filtering, sorting , aggregation and grouping of data, provided the query is well stated. Cortana Analytics (another story) also provides a speech interface to Power BI. Clearly ease-of-use is foremost in the mind of Microsoft, and these capabilities put it way ahead of most of the competition – at least where ease-of-use is concerned. Dashboards can be viewed and manipulated on mobile devices with Windows, iOS and Android native apps. Data driven alerts can also be sent to mobile devices. Power BI Desktop interoperates with Excel based Power Query queries, Power Pivot models and Power View worksheets, allowing them to be imported – and Microsoft will be providing more functionality in this area. There are many ways to connect with data. The Power BI Personal Gateway comes with Power BI Pro, and acts as a bridge between the Power BI service and on premises data sources. Data refresh periods can be specified, and it installs and runs as a service on the user’s computer. Power BI Analysis Service Connector supports the connection to SQL Server Analysis Services, and also supports data refresh. The number and variety of data sources increases by the month, and the list of supported sources includes databases, files, application data, social data and so on. Obviously Microsoft is keen to provide highly functional connections to its own cloud based data sources, including Azure SQL Database, Azure SQL Database Auditing, Azure Stream Analytics, Azure SQL Data Warehouse, and the ability to push live streaming data from Azure Stream Analytics. IT is not forgotten in all of this and data governance functions make sure that authorisation, security and the management of data are all catered for. External data sources can be combined with internal sources, and the Azure Marketplace is one such source of external data. Any service with a REST API or that makes use of OData can also be accessed. To facilitate the rapid use of data from well known SaaS applications, Microsoft offers Content packs. These come with pre-configured dashboards, reports, data models and embedded queries. A large number of applications have associated content packs, and a recent addition is QuickBooks. Such is the momentum of Power BI that other suppliers of analytical tools are lining up to provide additional services. One such example is Alteryx, the data wrangling and advanced analytics platform. Users of Alteryx will now be able to output their data to Power BI for visualisation and further analysis by a wide range of business users. I started out by saying that Power BI is disruptive. It should be clear by now that this is indeed the case. It is a rare mix of sophistication and ease-of-use – two characteristics that normally do not coexist. And it is worth reiterating that the Microsoft business analytics portfolio goes well beyond the data visualisation capabilities of Power BI. This is both an enterprise business analytics solution, and a solution for individuals who want to visualise their own data. With a large installed base, and a broad array of capability, Power BI will come to dominate business data visualisation. Amazon has recently announced QuickSight, its own visualisation platform, with a very fast in-memory architecture. It’s a natural move given that Amazon hosts several cloud database services (Redshift, RDS, Aurora, EMR, DynamoDB, S3, and Kinesis), but it certainly needs to mature to be competition for Power BI. As for the large number of data visualisation tools already existing, they clearly need to differentiate – speed, sophistication, cost, or whatever gives them an edge. Microsoft Power BI will be encroaching on their territory otherwise.